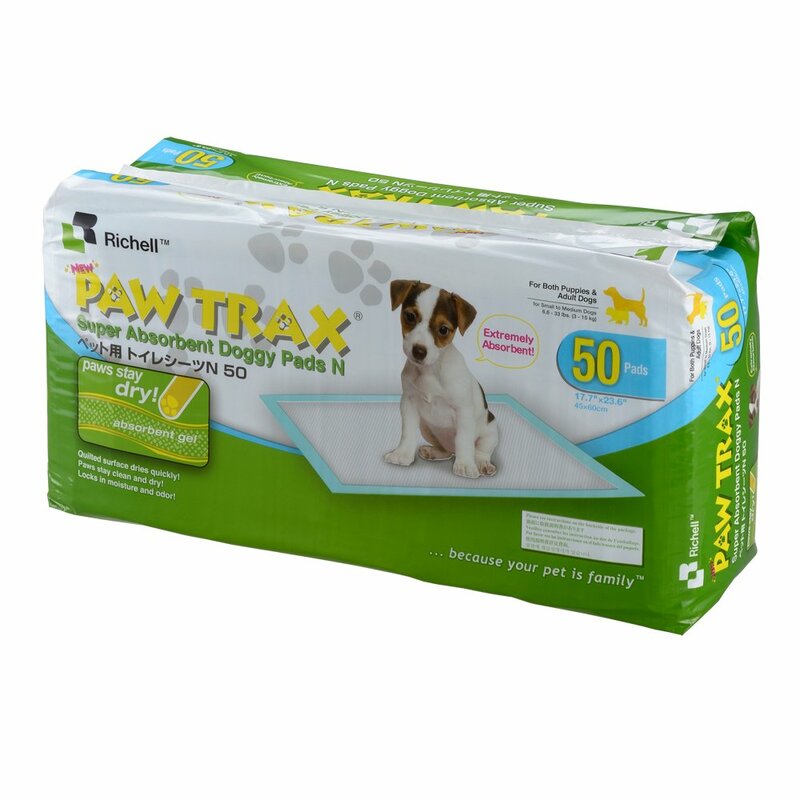 Paw Trax Super Absorbent Training Pads are perfect for potty training your new pup or as a protection pad for your longtime companion pet. Either way, these pads are a definite "must have" in the home for pet parents. Each pad is made up of 4 layers that work together to absorb more wetness and dry out faster. Tests show that the super absorbent gel in one pad will absorb up to 2 quarts of liquid. Plus, its quilted surface dries out faster than several of the leading brands. In addition, the pastic liner provides superior floor protection because not only will it not leak, it won't fall apart. The pad's super odor and wetness control allows for no tracks, no mess, no fuss. Paw Trax is also great to use while traveling with your pet, either on the road or by air. The pads are a definite must have during hotel stays and can be used with any airline-approved kennel.